Bloodied and bruised by a faster, more experienced opponent in the opening round of his UFC debut, Minnesota National Guard soldier Tim Johnson needed to turn things around. So he did — starting with his opponent. Johnson caught the leg of Shamil Abdurakhimov as the Russian heavyweight attempted a kick, lifted the 255-pounder into the air and spun him into the mat. 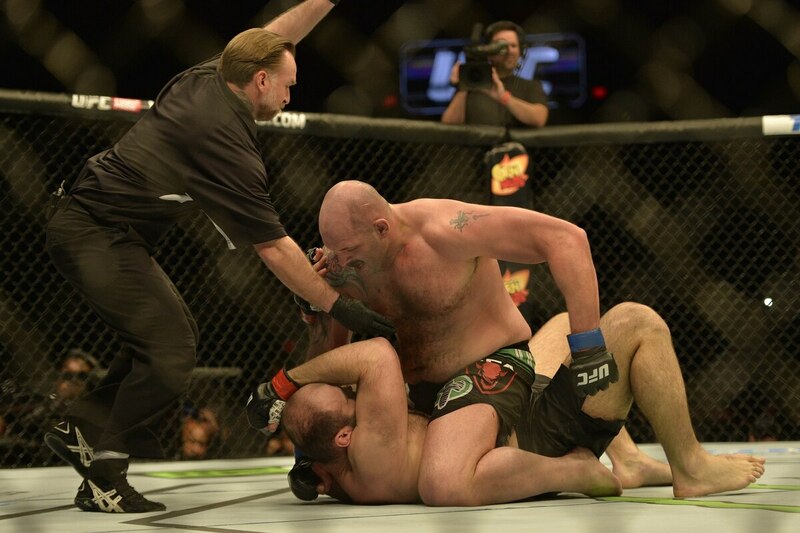 With less than 30 seconds left in the first round, Johnson had Abdurakhimov pinned to the canvas and started swinging. The Russian had no answer, and the referee stepped in with three seconds left in the round to award Johnson his eighth straight victory — the others all came in North Dakota. "I don't think I could've written it up better," Johnson (9-1) said of his win in a post-fight interview that was part of the Fox Sports 1 TV broadcast. "It was just a great experience to get in here. Everything you could imagine it'd be." Midway through the round, Abdurakhimov earned a one-point penalty after ignoring multiple referee warnings to stop grabbing the cage. That seemed to motivate the Russian, who threw a flurry of strikes after the ruling. Johnson weathered the storm and eventually secured the fight's only takedown. Johnson's plan, he said, was to "try to prove that I could hang and bang, although ..." — he gestured to his battered face — "we're kind of working that out right now." 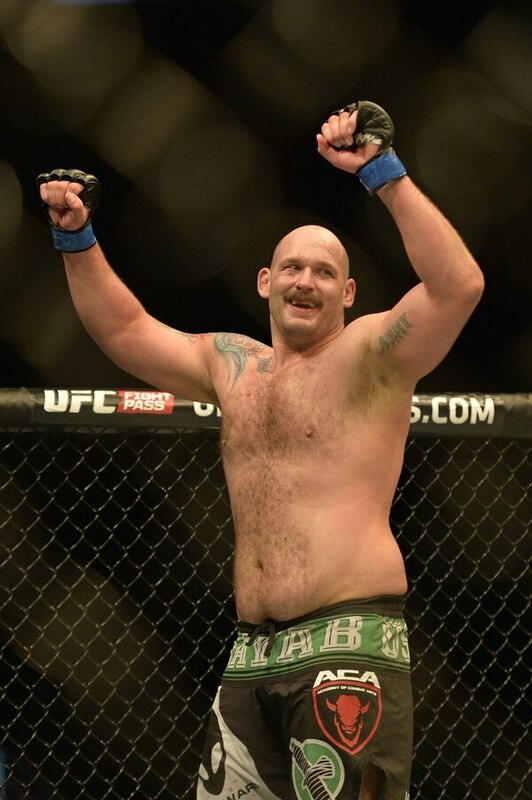 Tim Johnson celebrates after his first-round victory Saturday during UFC Fight Night action in Fairfax, Virginia. He received "U.S.A." chants from the Fairfax crowd after downing the Russian and pointed to Army and American flag tattoos while celebrating in the cage. Also on Saturday's card, former Marine Liz Carmouche improved to 2-3 in the UFC (10-5 overall) with a unanimous-decision victory over Lauren Murphy (8-2, 0-2 UFC). It was the bantamweight's first win since July 2013.